"They get frantic when separated. 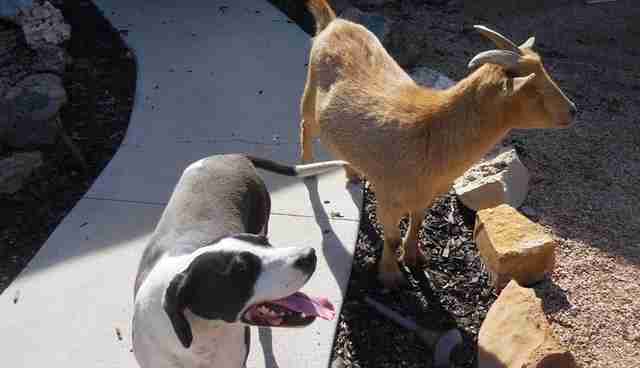 I let the dog inside for a few minutes and the goat cries for him." A pair of runaway pets was spotted just north of Los Angeles last week. The trouble is, the animal control officer who found them had no idea what to make of this bizarre team of fugitives. Sure, a dog on the loose is a pretty common sight in these parts. 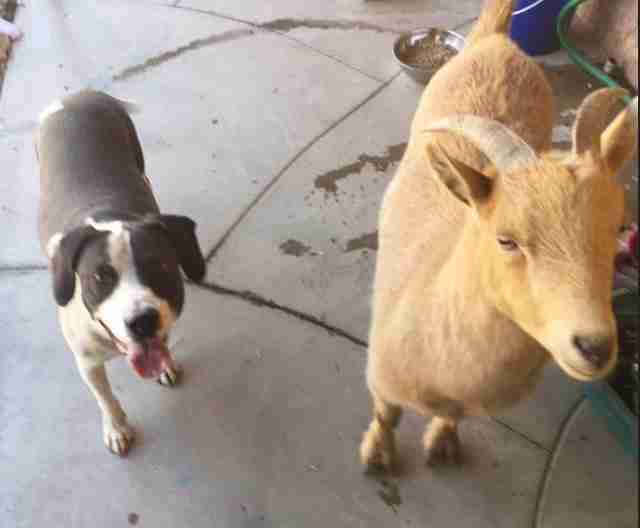 Apollo the dog and Gnome, the goat he had known since birth, managed to get out of their owner's yard in Victorville - and make a run for it. "They were just cruising the streets and an animal control officer picked them up," Tara Hamilton, an animal rescue volunteer, tells The Dodo. 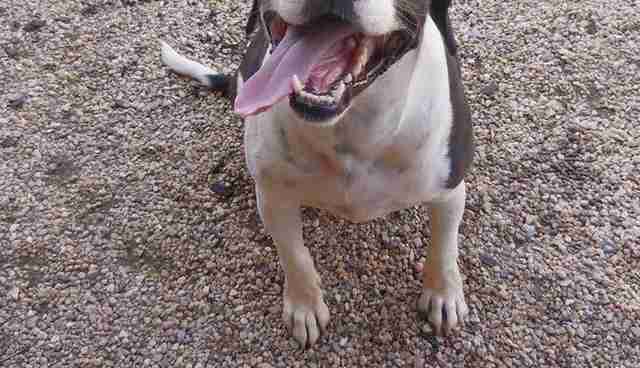 Their brief stint as fugitives landed them at a local shelter. 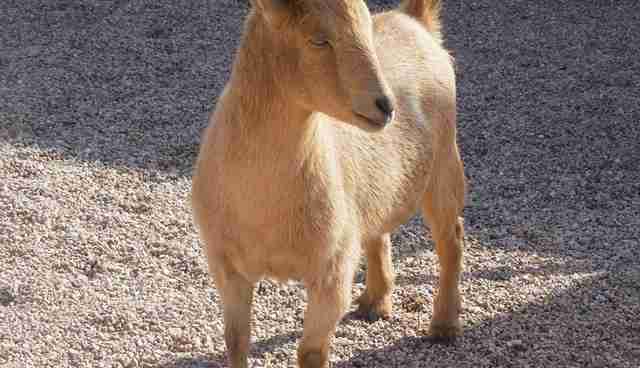 The trouble is, their owner wasn't legally allowed to own a goat at his residential property. But Apollo and Gnome refused to be apart - to the point where their owner said if the goat must go, the dog should go with him. Luckily, their stay at the shelter was blissfully short. Hamilton, through her rescue group, Dachshund Paws and Pals, found a foster home for Apollo and Gnome. Of course, that home would have to legally be allowed to own a goat. Because Apollo and Gnome come as a package. "They get frantic when separated. 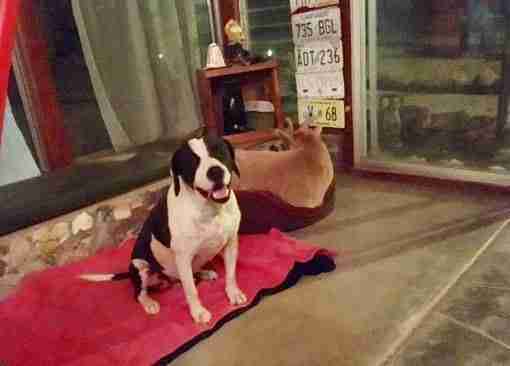 I let the dog inside for a few minutes and the goat cries for him," foster mom Liz Devlin says. 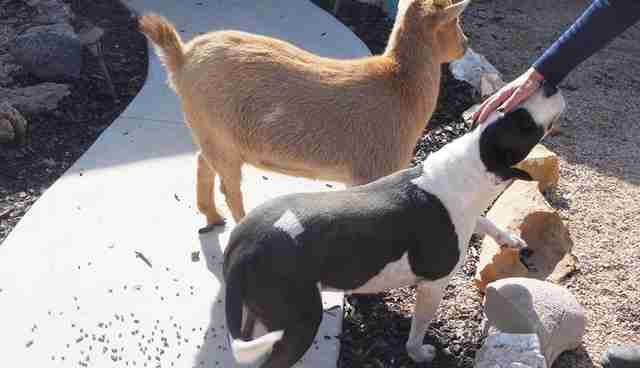 "And after a few minutes the dog is ready to go outside and check on his goat bestie." Their connection may not be so surprising, considering both animals are 2 years old - and have been together since they were babies. Apollo and Gnome wrestle, play and pounce on each other like old friends. "She has a sunroom connected to her house," Hamilton says of Devlin's foster home. "So she leaves the back door open and they come in and sleep on their dog beds and they get up in the morning and go outside." 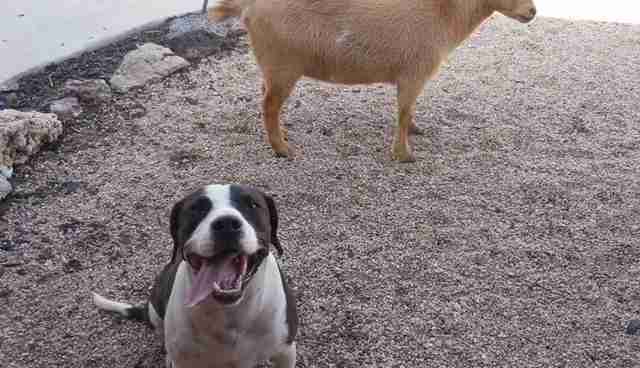 "This morning, I noticed the goat wagging his tail and dancing with his dog," she adds. "They are always happy." Gnome even follows his dog brother's code of hygiene - he goes to the bathroom outside. But while Apollo has gone about his life being a dog, it appears no one let Gnome know that he's a little different. "I don't think he knows he is a goat," Hamilton says. Indeed, but Gnome knows he has a friend. Think you might like to give them a home? First, make sure local laws allow you to keep a goat. Then fill out an adoption application here. And if you would like to support the group in its mission to save dogs and, well, a goat or two, consider making a donation here.